Early in my development career, one of my hospital clients introduced me to the term “Grateful Patient Campaign.” The idea being that former hospital patients would be so grateful for the care they received, they would be willing to make a contribution to the hospital. Outside of development circles, most people would describe the relationship between a patient and his healthcare provider as transactional. The patient, or her insurance company, pays for the services provided by the hospital. Wise development professionals realized that turning the transactional relationship into a philanthropic one would require a strong measure of gratitude on the part of the patient. So, assumptively, the idea of the “Grateful Patient Campaign” came into being. Beyond the healthcare environment, other nonprofit organizations are also involved in “Grateful Whatever Campaigns,” though by other names. They are attempting to take a transactional relationship and turn it into a philanthropic one. So, what is the most important part of any “Grateful Whatever Campaign”? It’s the Whatevers! Fill in the blank. It’s Patients, Alumni, Adopters, Visitors, etc. It’s obvious, right? Then, why do so many nonprofit organizations do such a mediocre, or even horrible, job providing service and then wonder why they have trouble attracting support? As a development professional, you have an obligation to help make certain that your organization is providing outstanding service. I’m not just talking about the service provided by your development office. I’m talking about your organization’s core services. Stewardship is an essential part of the development process. It is your responsibility to ensure that donors’ money is used, as intended by donors, to further the mission of the organization. Making sure your organization provides great service in the pursuit of its mission is simply good stewardship. New donor acquisition is essential to any development program. You will have a tough time acquiring new donors tomorrow without happy service recipients today. Even when seeking support from third-party sources, your case will be strengthened if you can demonstrate the satisfaction of your service recipients. Special Report: “It was the Best of Times; It was the Worst of Times.” It was 2011. For me, 2011 started off fantastically. 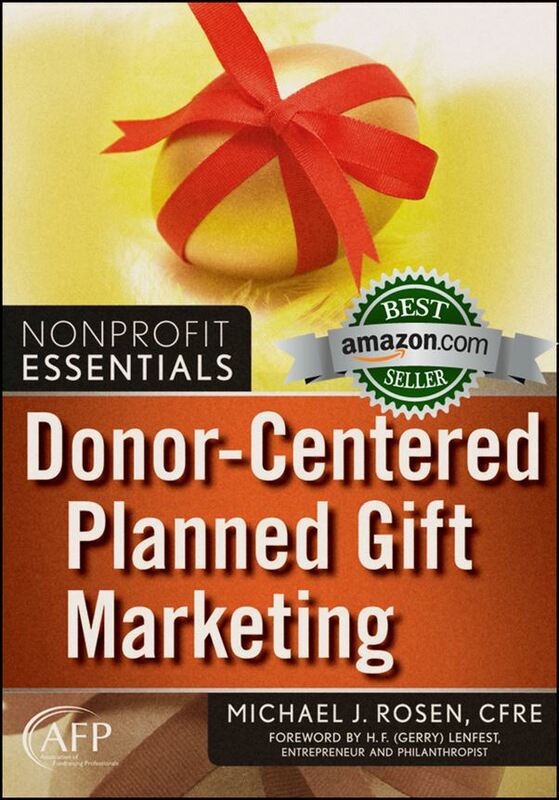 My book, Donor-Centered Planned Gift Marketing, which had been recently released by Wiley, saw sales doing quite well. Early in 2011, the book became the number one planned giving bestseller at Amazon. In March, the Association of Fundraising Professionals presented me with the AFP-Skystone Partners Prize for Research in Fundraising and Philanthropy for the work I did on my book. In July, CFRE International put my book on its official Resource Reading List. Business was good. My family was good. My friends were good. I even began contemplating a new professional adventure. Then, the second half of 2011 took a turn for the scary. At the peak of the fright, every single muscle in my body literally ached. I was incapable of thinking about much else. I was dealing with cancer. Not mine, though. My wonderful wife of 25 years, Lisa, was diagnosed with Stage 1-C Ovarian Cancer. For a number of years, Lisa had experienced a variety of health-related symptoms. Doctors brushed aside her concerns as “normal,” “typical,” or something that will “just go away.” As her symptoms became more severe, her quest for answers became more serious. When doctors wanted to simply address her symptoms, she insisted that they find the underlying cause. When they seemed unwilling or unable to do so, she found another doctor. After getting less than satisfactory medical results from three gynecologists, a gastroenterologist, and an emergency room physician, she found yet another new gynecologist. The new doctor spent nearly 30 minutes with her prior to the examination. She talked with Lisa about her symptoms and concerns. She took a medical history. She listened. Following the exam that included an in-office ultrasound, the doctor ordered two tests that proved vital: an MRI and a CA-125 blood test. The MRI results came in shortly after Thanksgiving. You didn’t need to be a radiologist to see the massive cyst. The doctor followed-up with Lisa, and met with her to discuss her options. Lisa then scheduled an appointment with one of the top gynecological oncologists in the country, based on the recommendation of her new gynecologist. While in his office, the CA-125 results came in. Things did not look good. He scheduled Lisa for surgery the following week. The surgeon gave Lisa a 10 percent chance of the cyst being benign. Sadly, she was not that lucky. A hysterectomy was conducted. Lisa is now recovering nicely from her surgery. Her normal toughness and good humor are serving her well. She is pretty much off of her pain killers. She’s walking a good amount and is getting out and about. Lisa’s doctor says he was able to remove all visible signs of the cancer. But, her fight is not yet over. Shortly, Lisa will begin chemotherapy. The coming months will present a continuing challenge. This week, I have invited Linda Lysakowski, ACFRE, author of Capital Campaigns: Everything You NEED to Know. 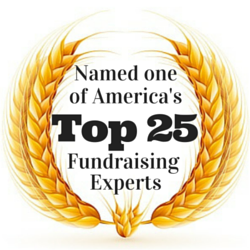 Linda is a friend, and I have joked with her that she is the Stephen King of the fundraising world. I tease her about this, not because she writes horror stories, but because she is nearly as prolific as King. She has at least eight titles to her name! I know, from personal experience, that writing a book requires a great deal of time and effort. Linda has long been willing to do what it takes to share her wisdom. Her books are always practical, accessible, and full of useful tips culled from her decades of experience. Capital Campaigns is her latest book. The official description of her book says, “Do you work for or serve on the board of a nonprofit that is thinking about or ready to launch a capital campaign? Capital Campaigns: Everything You NEED to Know will equip you to determine your organization’s readiness for a campaign; help you decide if and when you need a planning study; show you how to allocate your human and financial resources effectively; guide you in creating a compelling case statement; provide you with the tools to evaluate your chances for success; give you how-to advice to plan every aspect of your campaign; and put at your fingertips ample examples of sample forms and charts.” Like I said, Linda always offers practical advice in her books. Don’t underestimate the value of volunteer leadership in your campaign. If you asked me to list the most successful campaigns I’ve been involved with to the least successful and then asked me to list the best volunteer campaign leaders to the worst, guess what? The list would be just about identical. In other words, the campaigns that have the best volunteer leaders are the most successful ones. I’ll share another story with you that proves my point in a positive way. Another organization sought out a top community leader to serve as honorary chair of its campaign. Although this community leader did not have a real strong tie to the organization, he was very persuasive in making the case. The “honorary chair” not only agreed to serve, but attended and led every meeting, made a significant gift to the campaign, and his leadership was enough to convince the presidents of four local banks and other top community leaders to get involved. This campaign went over goal in the time allotted. Does U.S. Really Need More Nonprofits? Huh? Someone actually thinks it’s a bad idea for inspired Boomers to independently do good? Well, that’s what’s implied by the headline from a provocative op-ed piece in The Chronicle of Philanthropy last month. The article was written by Mark Rosenman, Director of Caring to Change, a project that seeks to improve how grant making serves the public. Rosenman was reacting to a study by Civic Ventures that found that more than 12 million Americans from 44 to 70 years old would like to start nonprofits or businesses that solve social problems. The article has received a great deal of attention at The Chronicle’s website and in a number of Groups at LinkedIn. Unfortunately, Rosenman misses the major point of the study. The creation of nonprofit organizations and socially-responsible businesses is inherently democratic. By contrast, Rosenman’s call is, at best elitist. I am always gravely suspicious when someone in the establishment wants to shut the door to fresh, independent thinking and new organizations. I reached out to Rosenman privately via his Caring to Change website. I haven’t received a response. Is Rosenman too elitist to answer some specific questions from someone who disagrees with much of what he has written? Perhaps. However, I’ll give him the benefit of the doubt and chalk up the lack of response to a technology glitch or simple oversight. My first question for Rosenman was: Are you opposed to the creation of any new nonprofit organizations or just millions of them? How many new nonprofit organizations would be “safe” to create over the next five or 10 years? The headline from his op-ed piece implies he’s opposed to the creation of any new nonprofit organizations. If that’s not the case, he certainly has not stated how many new organizations he would deem acceptable. Rosenman also failed to respond to my second question: I noticed that the Caring to Change project received funding from at least two “new” nonprofits, foundations created in the 1990s. For someone who speaks out against the creation of new nonprofits, is that not a bit hypocritical? Since I have no response from Rosenman, I’ll answer the question myself: YES! What’s in a name? For William Shakespeare, perhaps not much. After all, the Bard wrote, “A rose by any other name would smell as sweet.” But, when it comes to the term “planned giving,” maybe a name does matter. While “planned giving” might be the most effective term for SEO purposes, Pam Milczarski, one of my readers wondered if it is the best term for use in a job title. If only 37 percent of Americans say they are familiar with the term “planned giving” (Stelter), is it really the best name for what we do? In other words, does the job title “Director of Planned Giving” really mean anything to donors and prospects? Is there a more meaningful job title? Conversely, I began to wonder whether there are truly terrible job titles. Can some job titles actually engender a negative reaction from the public? For example, based on nothing more than personal feeling, I can’t stand the title “Planned Giving Officer.” It seems organization-focused, officious, and almost militant.